Turn your binder into a portable desk! 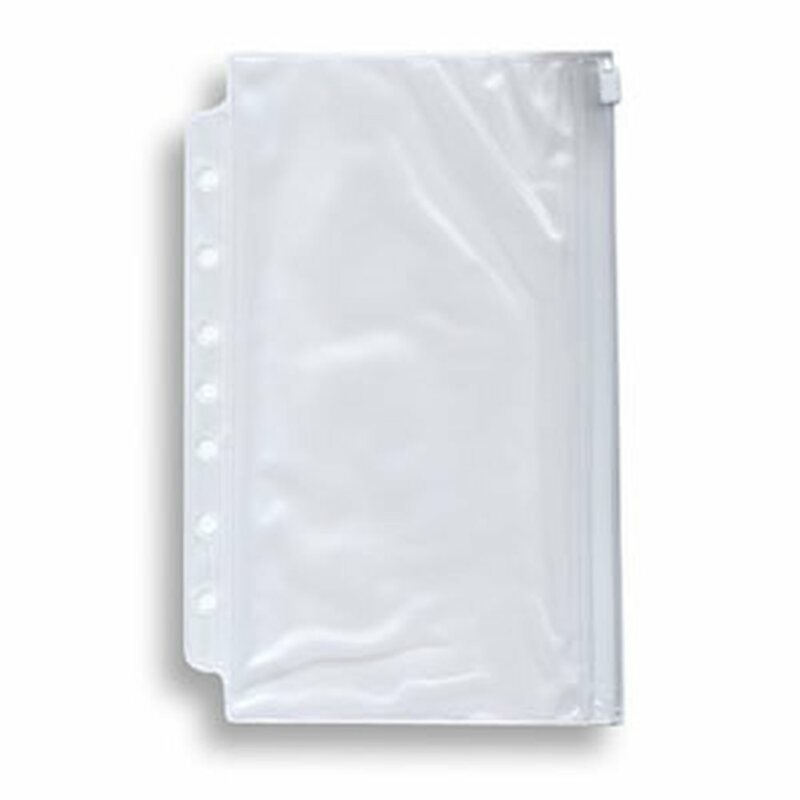 Pens, paper clips, postage stamps, rubber bands, you name it - they all fit inside this handy hole-punched vinyl pouch. Your supplies stay visible so you always know what you have on hand. The slide clip works like a zipper to lock all your things safely inside the pouch.